Has anyone been ripped off by one these fraudulent Binary Option Broker out there? I hope you actually know how it feels and hurt to lose all the money you have worked for in your life investing with the thoughts of getting returns but then it turned out It was all a scam at the end. I have lost so much in Binary Options than I can say , I lost 55,000usd last year after being introduced to a broker "72Option”. I was lured into investing and trading with my saving and some huge funds I got from my just sold properties. I started with 41,000 USD at first and I tried withdrawal after then, I wasn't able to make withdrawals. I complained, they told me I had issues with my account verification. Soon after, I got that resolved but still I had no chanced to process my withdrawal, I was told I needed to deposit more funds to process my withdrawal, I deposited additional 6,000 USD. I tried again and they denied me for a reason not known to me. It was after this, I concluded and understood that 72Option was a fraudulent investment schemes. I had to set out for alternatives to get my funds out. After several efforts to withdraw my funds, filing different reports to the security agencies, none of these worked out well for me not until last month when I discussed this with my trainer telling him all I had gone through, he immediately recommended a recovery expert that helped him too. I sent a mail to them, in minutes they replied and requested for details in transaction, All my funds were recovered back into my account days after I consulted them. It was really miraculous as I had lost all hopes my money could be recovered. I will only give my little advice to everyone out there trying to invest in these so called investment schemes, I will name some of these brokers here. 72Option, NRGBinary, WMoption, 24Winner, OptionNow, Safe24Option, 777Binary, LBinary, CTOption, OneTwoTrade, PWRtrade. RBinary. OptionFM, AG Capitals and many of them not listed here. Many of them are only ready to steal and take all of our hard earned funds from us until they get the last card on us. Please, lets all be careful with our dealings and know the right steps to take when encountered with problems like this. 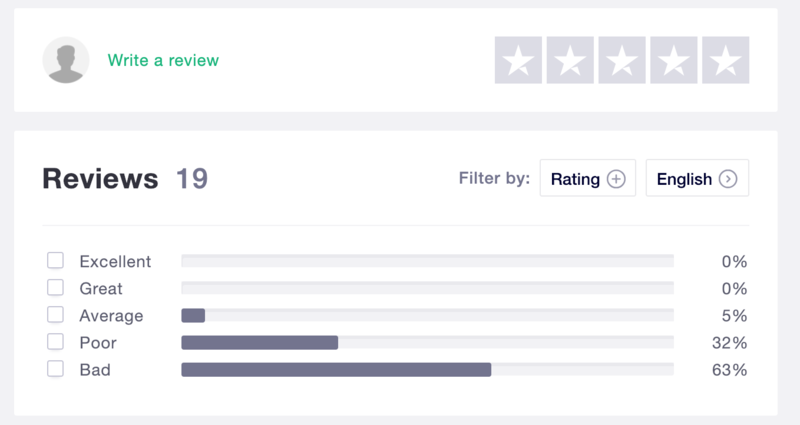 https://ca.trustpilot.com/review/72option.com - Seems like many others have lost monies on there, too. Pocket Options Broker Review – Binary Options No Deposit Bonus, Low Minimum Deposit and Paypal Banking Option for USA Customers! EURJPY Weakens On Price Sell-off With Eyes On 123.65 Zone EURJPY weakens on price sell-off following as it holds on its nearer term bear pressure. Support comes in at the 124.00 level where a break if seen will aim at the 123.50 level. A cut through here will turn focus to the 123.00 level and possibly lower towards the 122.50 level. Its daily RSI is bearish and pointing lower suggesting further weakness. On the upside, resistance resides at the 124.50 level. Further out, we envisage a possible move towards the 125.00 level. Further out, resistance resides at the 125.50 level with a turn above here aiming at the 126.00 level. On the whole, EURJPY retains downside nearer term. Date : 25th April 2019. MACRO EVENTS & NEWS OF 25th April 2019.FX News Today The BoJ left rates unchanged, but clarified its forward guidance, saying it will keep rates very low at least through spring of next year. Also, they will expand the eligible collateral and also consider the introduction of an Exchange-Traded Fund (ETF) lending facility, that would allow to temporarily lend ETFs that the Bank holds to market participants. Japanese stock markets outperformed going into the announcement, but mainland China indices were under pressure. Stock futures are moving higher in Europe and the US. The weaker than expected Ifo reading yesterday and a negative GDP print from South Korea overnight added to concerns about the outlook for world growth, which means rates will stay low for longer. The Swedish Riksbank is widely expected to keep monetary policy on hold today. The front end WTI future is trading at USD 65.91 per barrel. Charts of the Day Technician’s Corner USDCHF is consolidating since last night within 1.01970-1.02190 range. However, the pair still holds above 1.0200, suggesting the continuation of the uptrend, as the pair remains well above the medium term Support at 1.0123 level (6 month Resistance converted to Support). Intraday, however, and as momentum indicators have been flattened, consolidation mode could possibly hold within the day. A cross below 1.0200 could retest yesterday’s lows. AUDUSD within the strong 3-year Support, 0.7000-0.7020. It could react as a retracement level for the asset. However, the 3 black crows in the daily chart suggest that negative bias is increasing for AUDUSD. Main Macro Events Today Durable Goods (USD, GMT 12:30) – March durable goods orders are expected to rise 0.2%, following a 1.6% February decline. Shipments are expected to fall 1.5% in March, after a 0.2% reading in February. NZ Trade Balance (NZD, GMT 22:45) – The trade report is expected to show an improvement in the surplus to NZ$300 mln in March from NZ$12 mln in February. Tokyo CPI and Production Data (JPY, GMT 23:30) – The country’s main leading indicator of inflation is expected to have remained at 1.1% y/y in April. Industrial Production is expected to have improved, growing by 0.6% m/m in March, compared to -1.1% m/m in February, while Retail Sales are expected to have increased by 1.2% y/y, compared to 0.6% in March. Support and Resistance Always trade with strict risk management. Your capital is the single most important aspect of your trading business.Please note that times displayed based on local time zone and are from time of writing this report.Click HERE to access the full HotForex Economic calendar.Want to learn to trade and analyse the markets? Join our webinars and get analysis and trading ideas combined with better understanding on how markets work. Click HERE to register for FREE!Click HERE to READ more Market news. Andria Pichidi Market Analyst HotForex Disclaimer: This material is provided as a general marketing communication for information purposes only and does not constitute an independent investment research. Nothing in this communication contains, or should be considered as containing, an investment advice or an investment recommendation or a solicitation for the purpose of buying or selling of any financial instrument. All information provided is gathered from reputable sources and any information containing an indication of past performance is not a guarantee or reliable indicator of future performance. Users acknowledge that any investment in FX and CFDs products is characterized by a certain degree of uncertainty and that any investment of this nature involves a high level of risk for which the users are solely responsible and liable. We assume no liability for any loss arising from any investment made based on the information provided in this communication. This communication must not be reproduced or further distributed without our prior written permission. Great News: - starting from today minimum deposit is ONLY 10$ (use ENTER10 code) - Deposit using Cryptocurrencies or Fiat Money (12 Cryptocurrencies + Credit / Debit Cards, Bank Transfer & Many eWallets options) 50$ No Deposit Bonus STILL Available & Daily 250$ Free Entry Trading Tournament USA Customers Welcome https://binaryoptionsprofits.eu/review/pocket-option/ Make up to 128% Profit / Trade Every 60 Seconds!